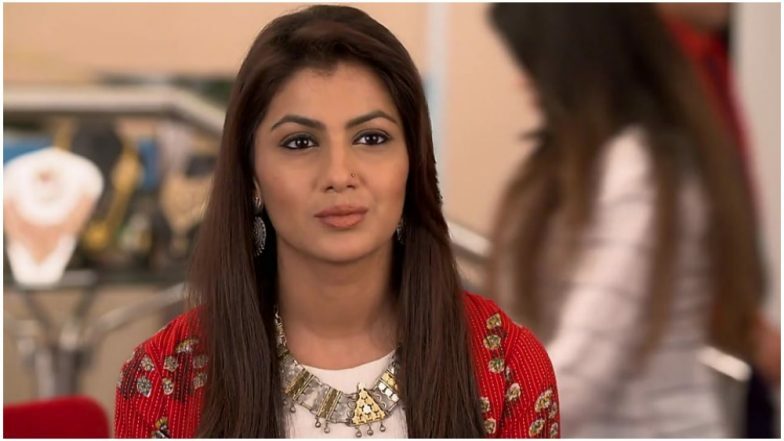 Today’s episode of Kumkum Bhagya starts with Pragya (Sriti Jha) and Prachi are thrown out of Chachu’s house. Prachi feels really bad and guilty and tells Pragya that she wants to return back home to Junagadh. She tells her that Delhi is a bad place and it showed her the route to jail and not to success. Prachi cries and tells Pragya she was right about not moving to this city. Pragya then consoles Prachi and asks her to not lose hope. She tells her daughter to fight for the truth and her own sake and not give up on her dreams. Pragya asks Prachi to leave Delhi by choice and not out of pressure. On the other side, Rhea has a bad dream. She sees that Prachi convinces Abhi (Shabir Ahluwalia) that it was Rhea who kept the necklace in her dress and accused her of theft. Rhea wakes up crying and Abhi and Meera rush to Rhea. They both ask her if she’s fine, Rhea reveals she had a bad dream. When Abhi asks her about the dream she refuses to divulge details and tells her that she has forgotten it. Abhi tries to calm Rhea and tells her that she’s his daughter and that she’s never going to be scared of anything. Meanwhile, Pragya and family finally reach the place that the old lady had called them. The house is dusty but spacious and the old lady lays down her rules. Pragya and Prachi don’t like the place by don’t make their displeasure known, while Shahana makes her opinion obvious. The landlady and Shahana have a funny exchange and Pragya and Prachi try to salvage the situation. The landlady tells them that they can either stay or leave and that there will be nobody to set the house right. She asks Pragya to come to her place after cleaning to discuss the finances. She even threatens to throw them out if they ever fail to pay their rent on the first day of the month. She reveals that her son has left her because of her daughter-in-law and her daughter has been married off too. The old lady also reveals that nobody visits her and that they should not come home late in the nights or make too much noise while they live in her house. Pragya tries to show Shahana the bright side of finding a nice spacious house, while Prachi continues to tease her sister. There Meera is seen preparing some medicine for Daadi. Abhi walks into the kitchen and asks her what’s kept her busy there. He asks her to find Rhea’s birth certificate. Meera says she will search after she gives medicine to Daadi. In the precap, Abhi sweet talks with Daadi and even tells her to get well soon so that they can go meet Pragya and bring her back home. On the other side, Prachi and Pragya are seen talking to each other while crossing the road. A car comes and crashes into Pragya, Prachi is seen screaming in shock.